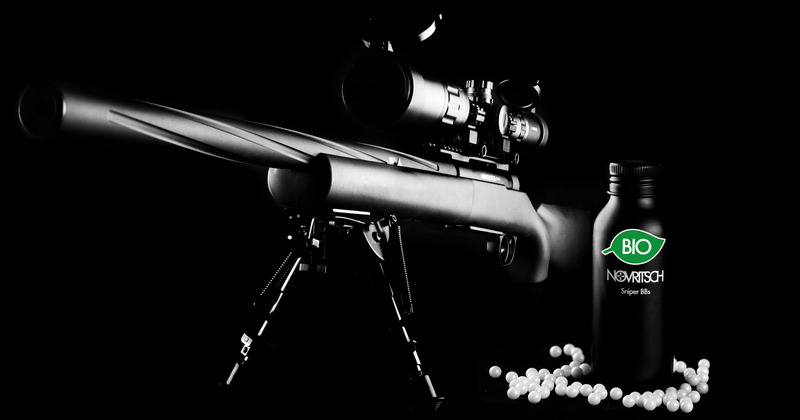 The Novritsch Sniper BioBBs are 100% biodegradeable. It took me an entire year to get the certificate. 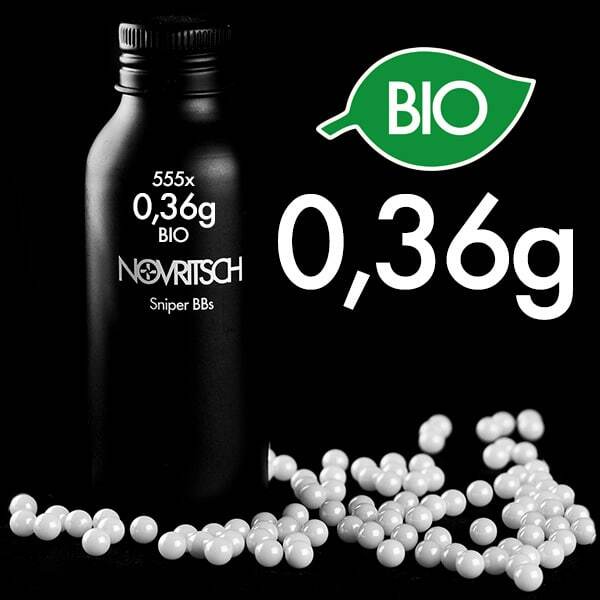 Now there is not doubt - the Novritsch Sniper BioBBs will degrade over time in a natural enviroment. 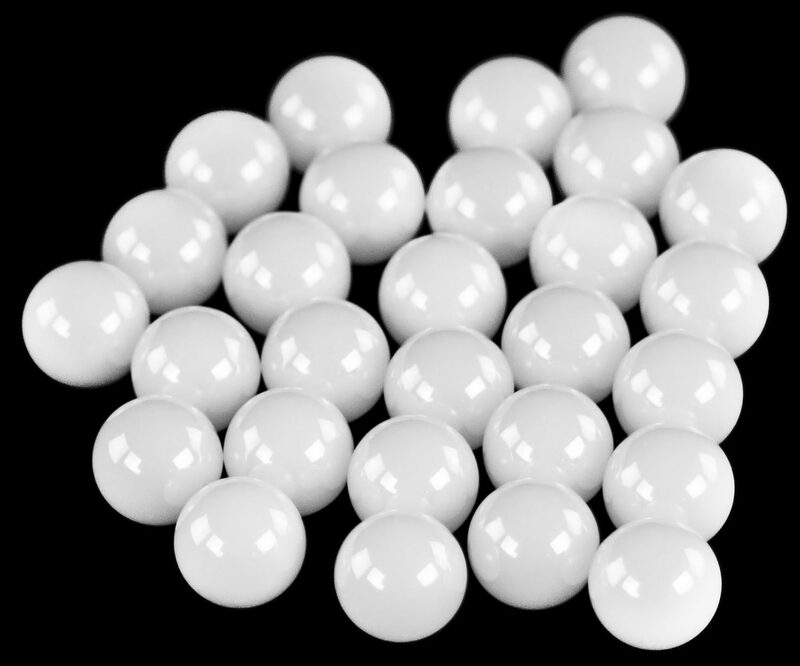 Pure white. No compromise. The whitest white possible. You will always be able to follow the trajectory of your BBs in your crosshairs. 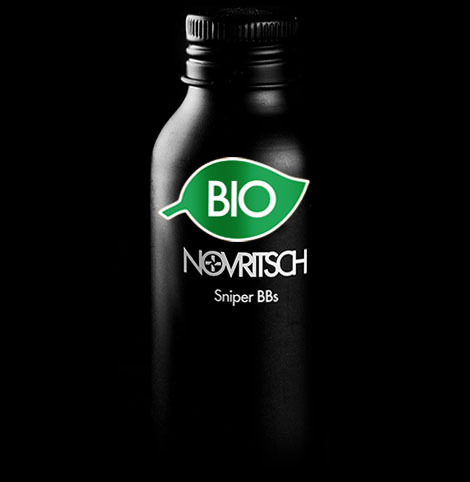 The Novritsch Sniper BBs come in an aluminium bottle, which has a perfectly sized opening for speedloaders. 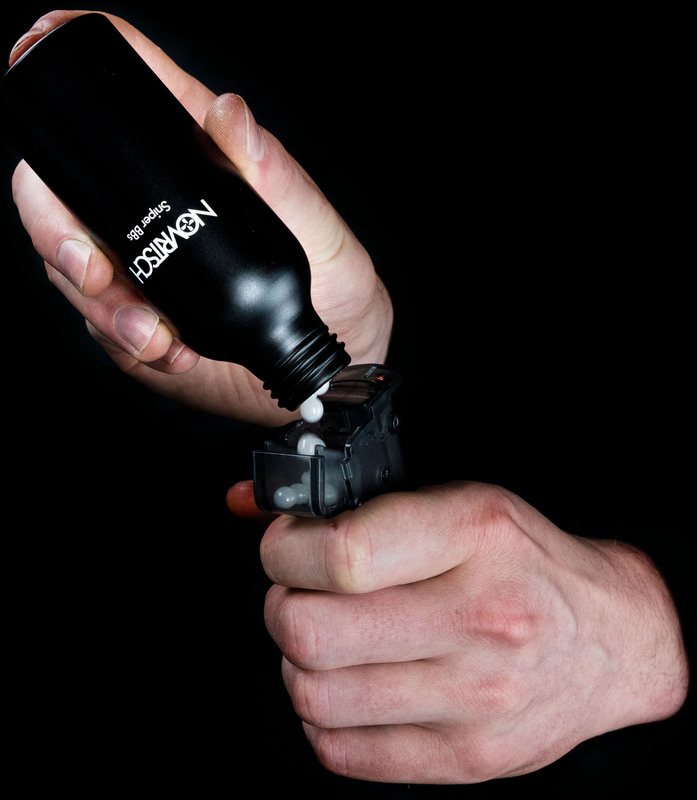 The rubber seal inside the cap will protect your BBs from getting dirty or moist. Before the BBs get packaged and shipped they have to pass five steps of quality control. 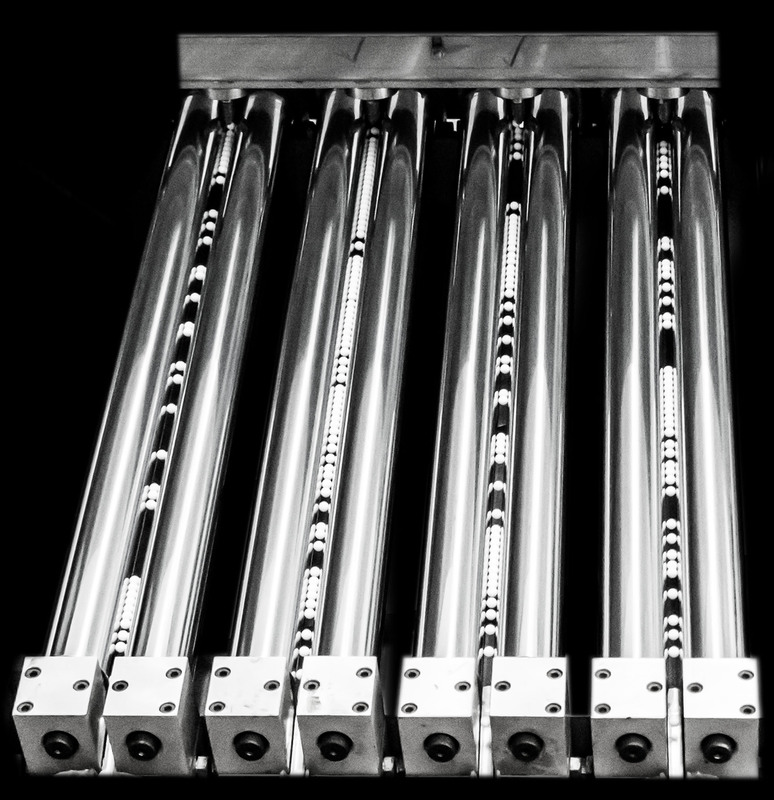 Four individual machines check the diameter of every single BB. Then a sample is taken from each batch and checked manually for diameter, weight, colour and airbubbles to make sure that every NOVRITSCH Sniper BioBB fits my requirements.